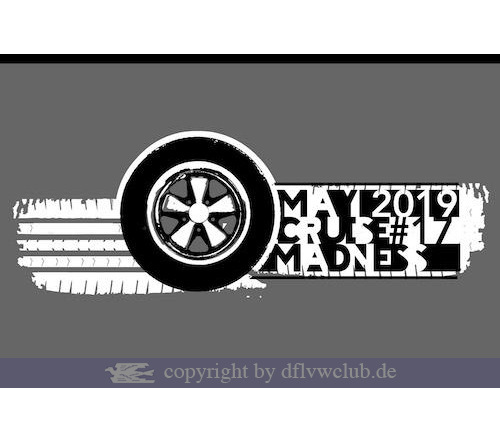 Finally it´s about time again: The May Cruise Madness T-shirt 2019 now available for preorder! As in every year limited available, there will be a high quality T-shirt for the 17th MCM this year as well. Its base color will be medium grey. 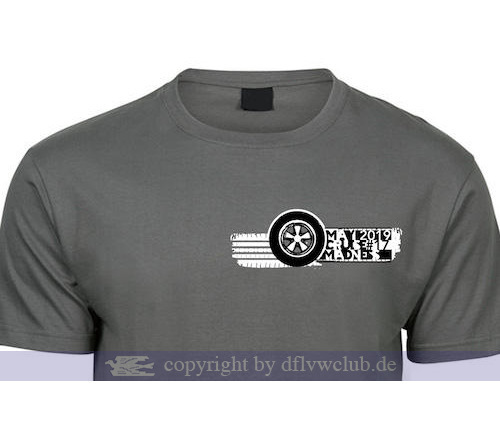 The serigraphy printed main motif on the back is a Notchback with Fuchs wheels. 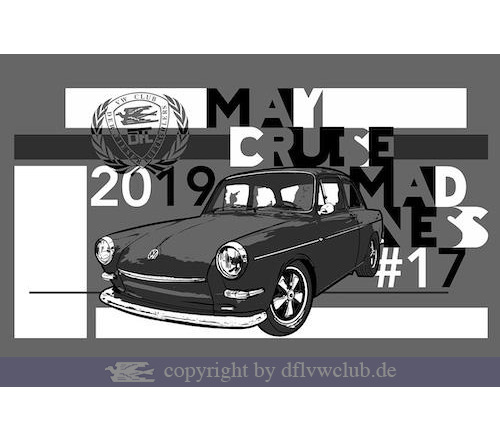 On the front there will be a small Fuchs rim together with a "May Cruise Madness #17 2019“ lettering on the upper left. The shirt is available in sizes S - 5XL. Please note that the color of T-shirts in sizes 4XL and 5XL may vary slightly. The price per unit amounts to Euro 24 against payment in advance (bank transfer or paypal). This year we are offering pickup in Hannover as well as shipping via Deutsche Post respectively DHL - please note that we ship the shirts at begin of May. After submitting your order you´ll receive further details via e-mail. The deadline for your order and PAYMENT is April 14th 2019! If we do not receive your payment until this day, your order will be canceled.